Republican presidential candidate former Arkansas Gov. 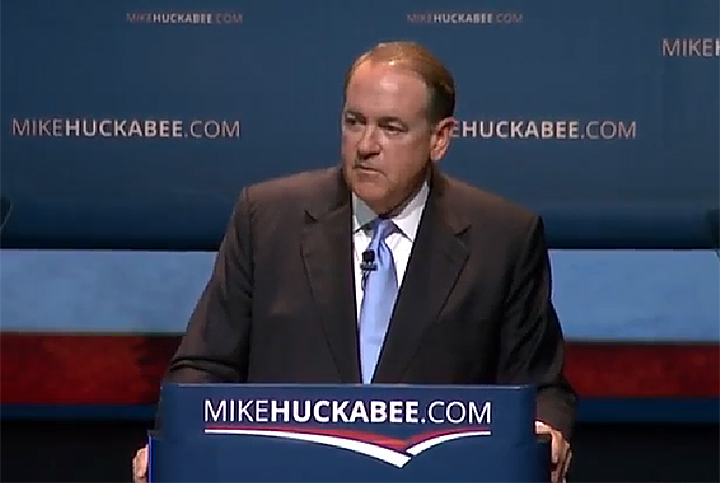 Mike Huckabee will be campaigning in Iowa again this weekend with stops planned in Atlantic, Greenfield, Des Moines, and Marshalltown. The first “The Huck Stops Here” event will be held at 9:30 a.m. Saturday at Family Table Restaurant, located at 609 W Seventh Street, in Atlantic. It will be followed by another at 12:30 p.m. at The Corner, located at 284 Public Square, in Greenfield. He will wrap up the evening with an appearance at the Iowa Faith & Freedom Coalition annual banquet and presidential candidate forum at the Paul R. Knapp Learning Center on the Iowa State Fairgrounds in Des Moines. 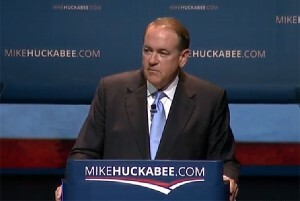 The 2008 Iowa Republican Caucus winner will then host a “Huckabee Huddle” event at 1 p.m. Sunday at First Baptist Church, located at 700 E Olive Street, in Marshalltown.